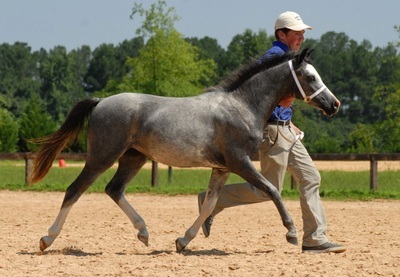 Notorious is a Champion in hand and a National Champion producer. 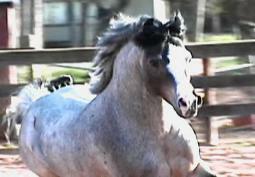 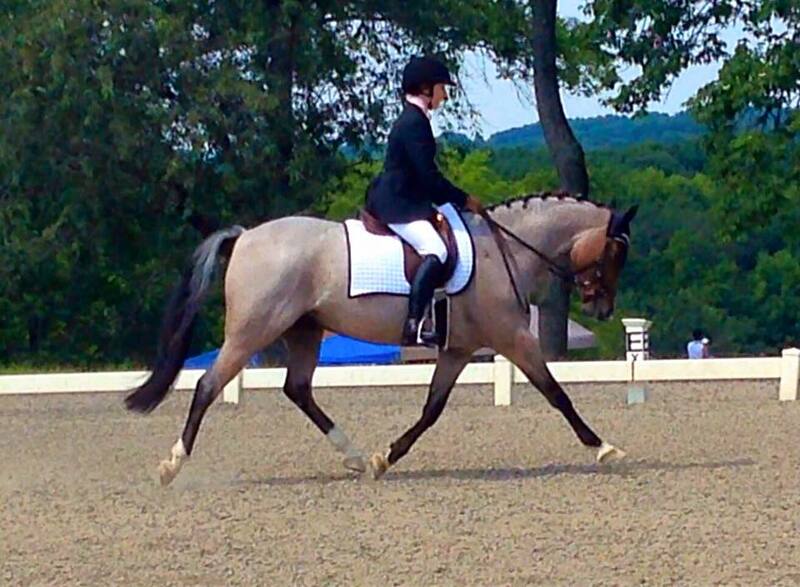 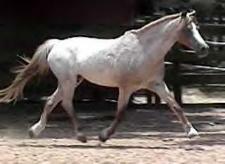 Has been ranked in the Top 10 WPCSA Sire of the Year Awards and has been on the USEF Leading Pony Hunter Sire list. Notorious has offspring winning in numerous disciplines and improves on his mares. 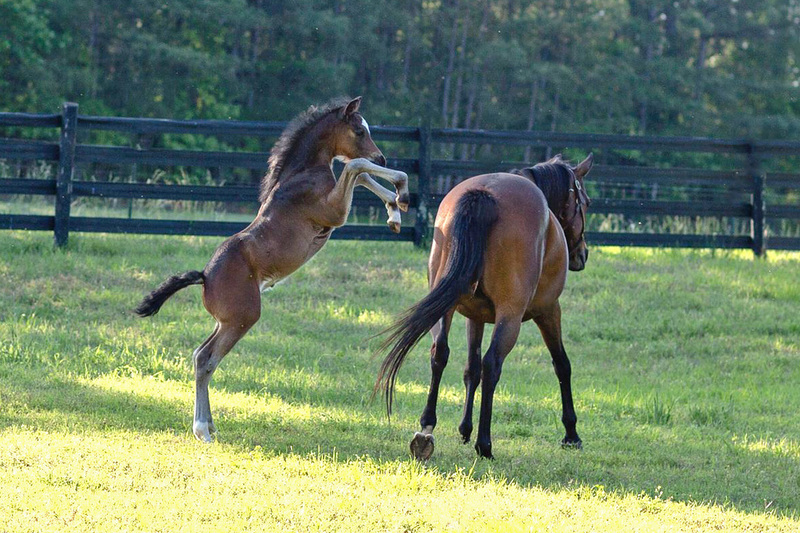 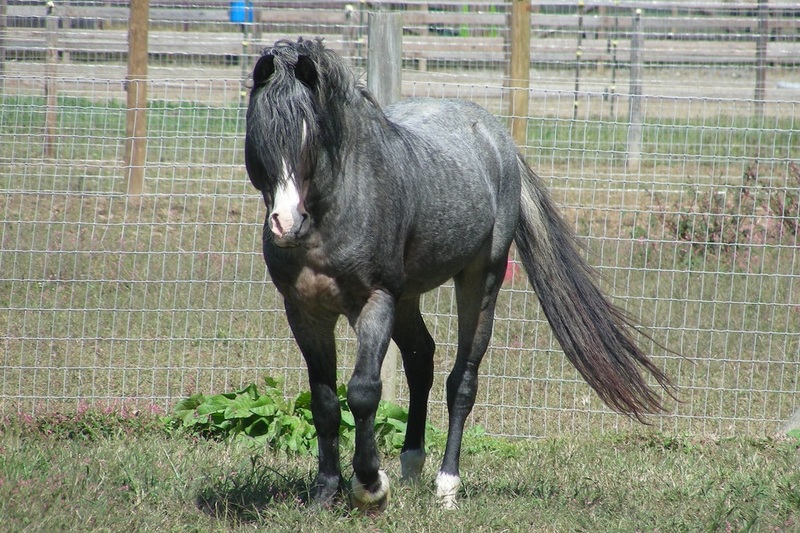 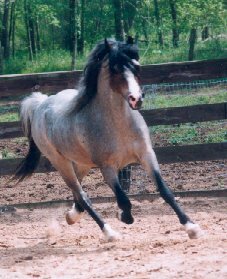 He has an exceptionally sweet and gentle disposition which he passes on to his foals along with fancy color, movement, type, and athleticism. 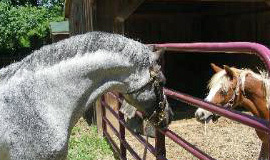 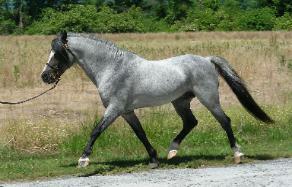 Notorious carries a proven producing cross of exceptional imported and domestic bloodlines and he is very prepotent. 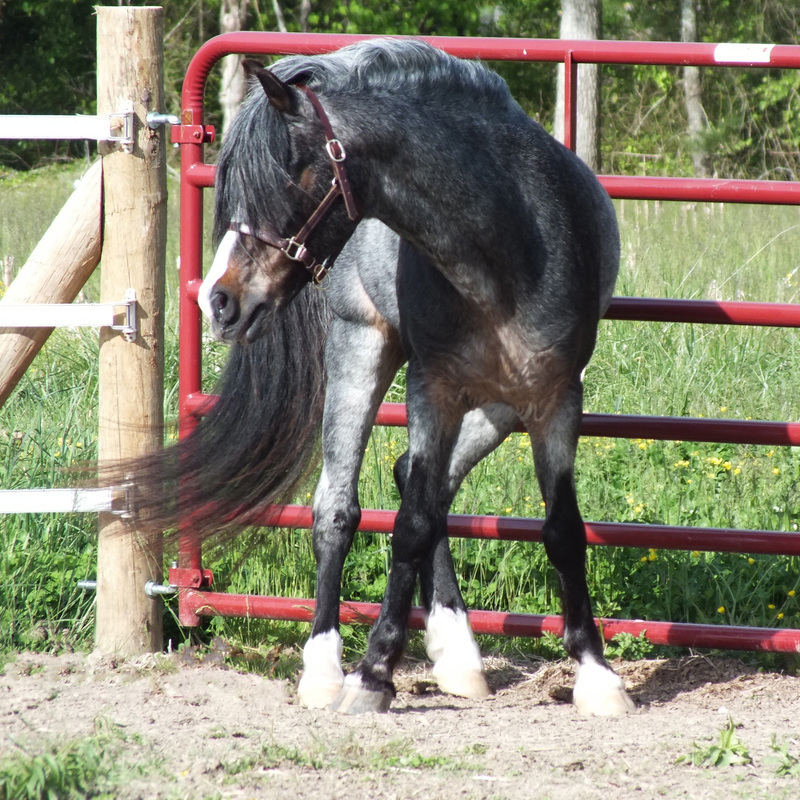 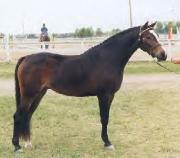 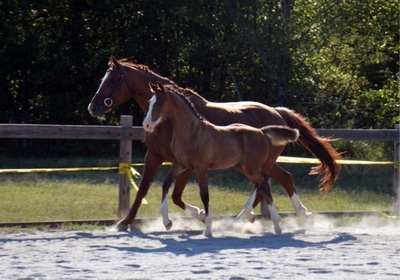 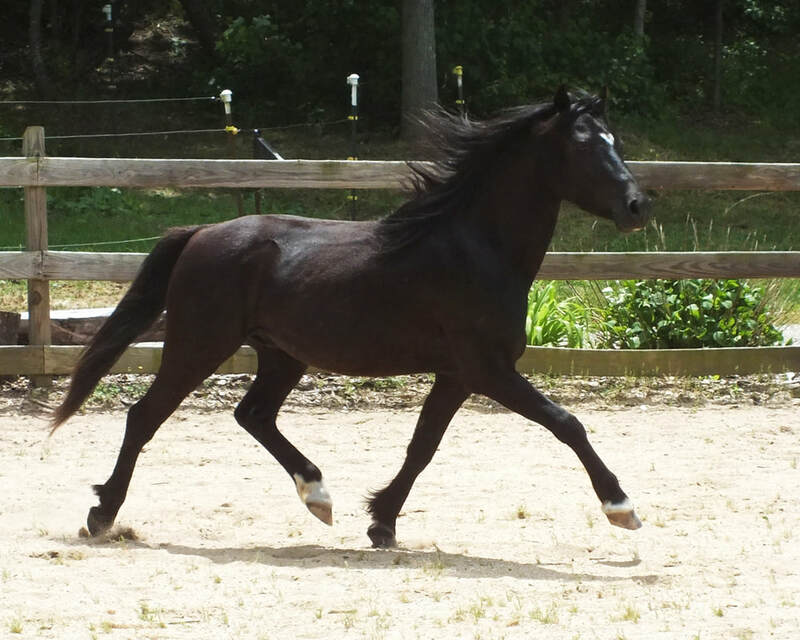 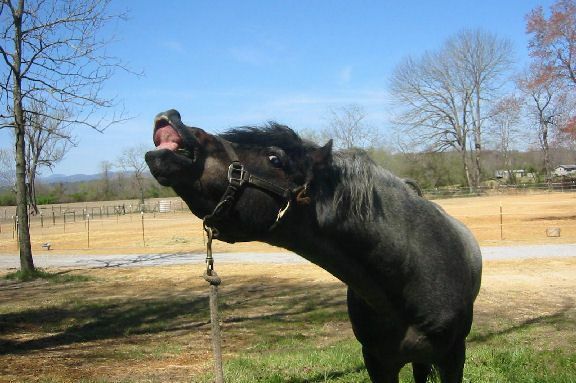 He is a brother to the famous hunter pony, Strike A Pose, 2 time Horse of the Year and Champion at Pony Finals, as well as RosMel's Millennium. 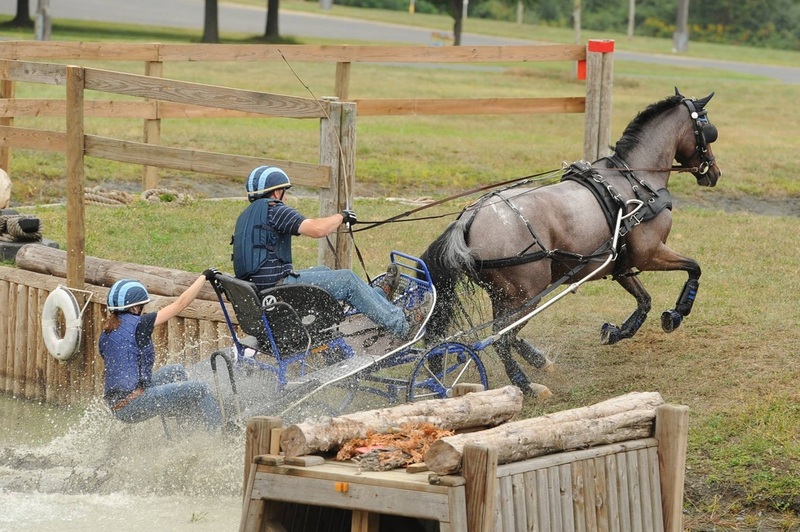 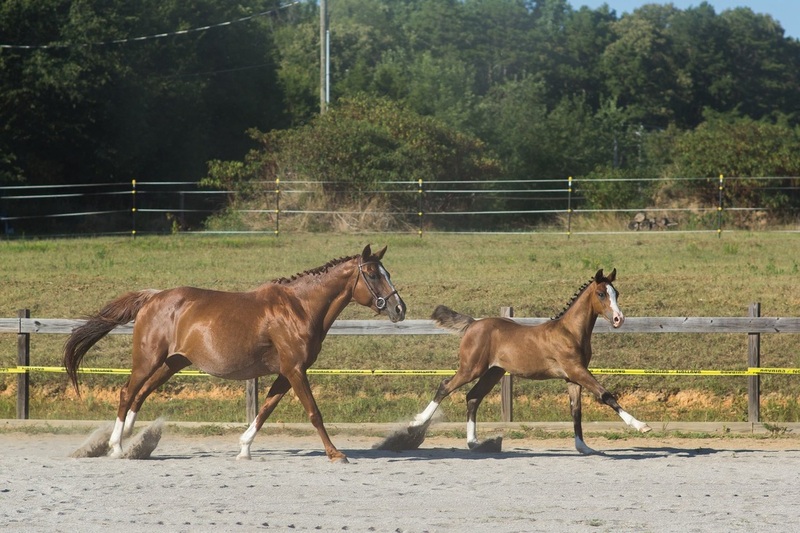 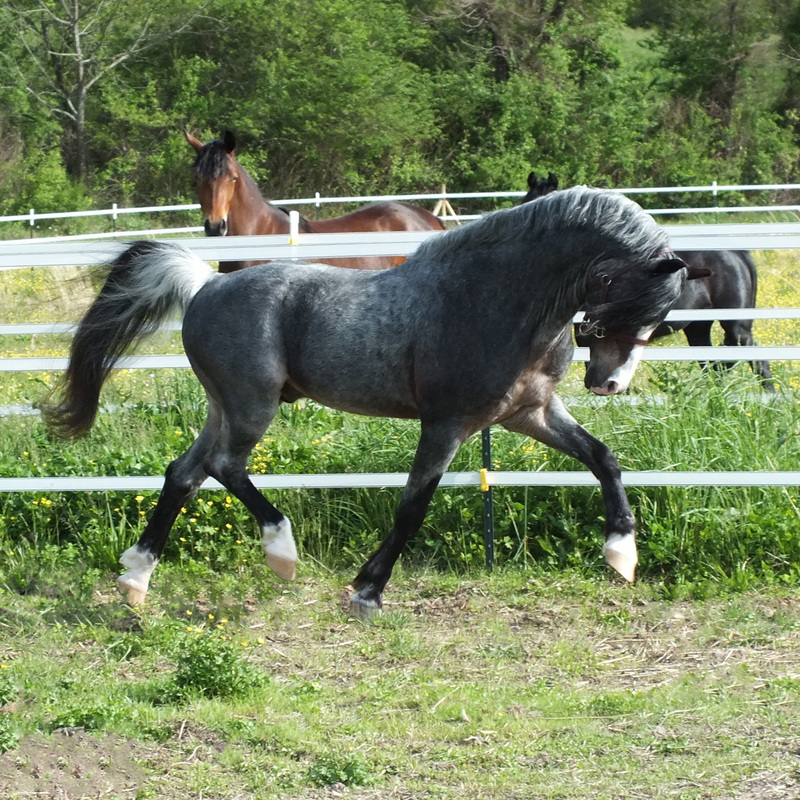 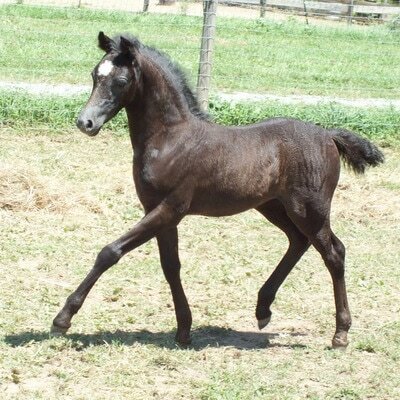 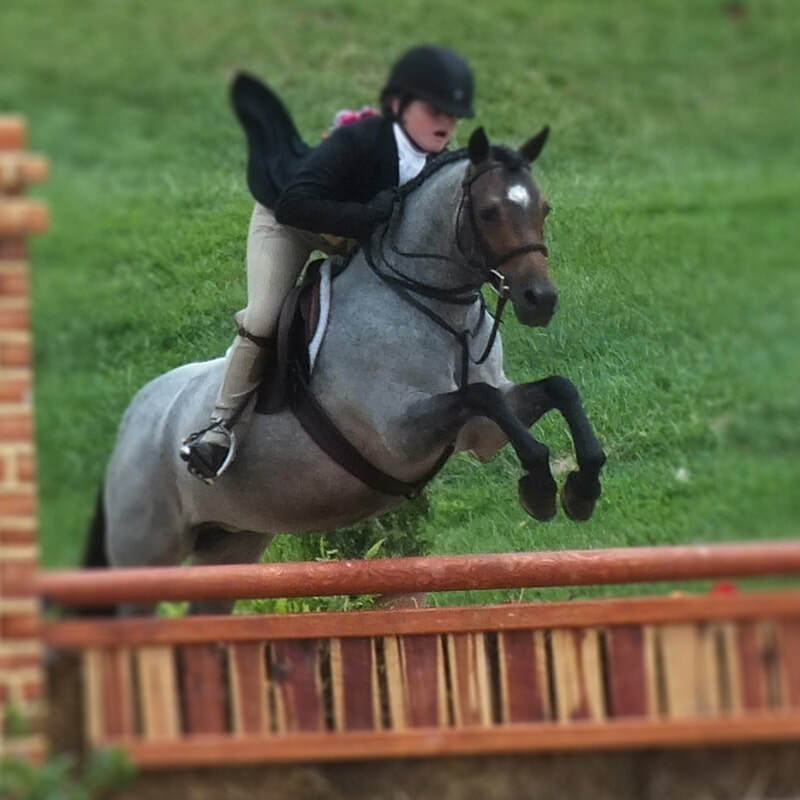 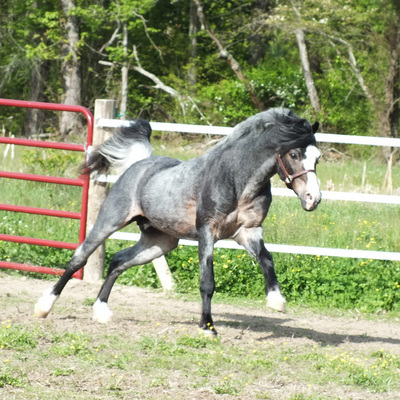 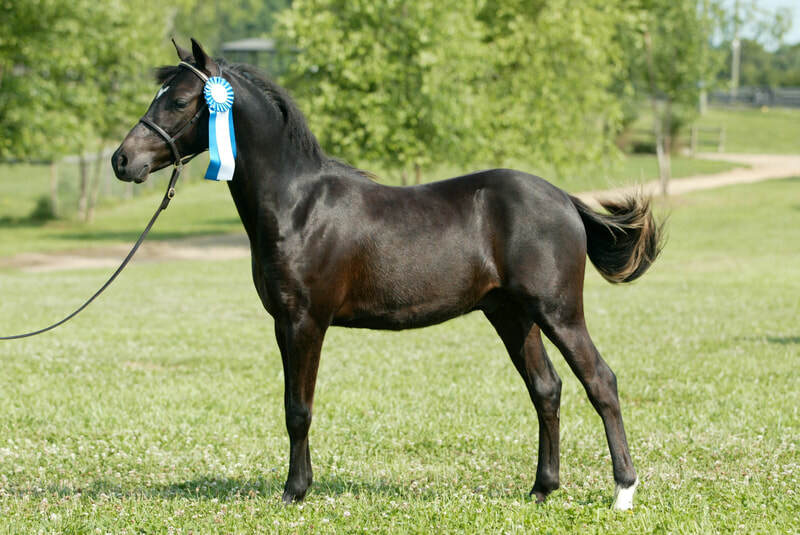 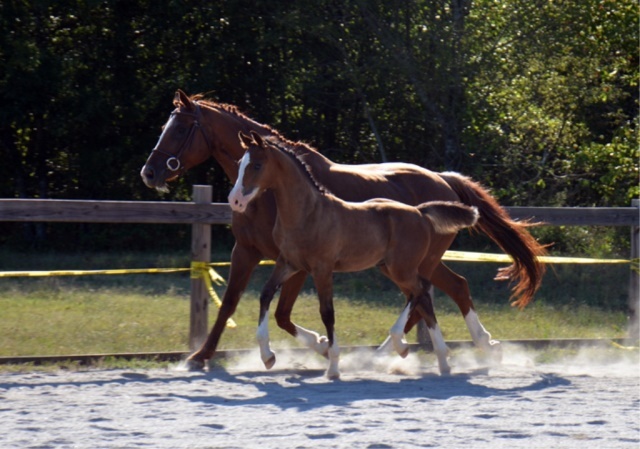 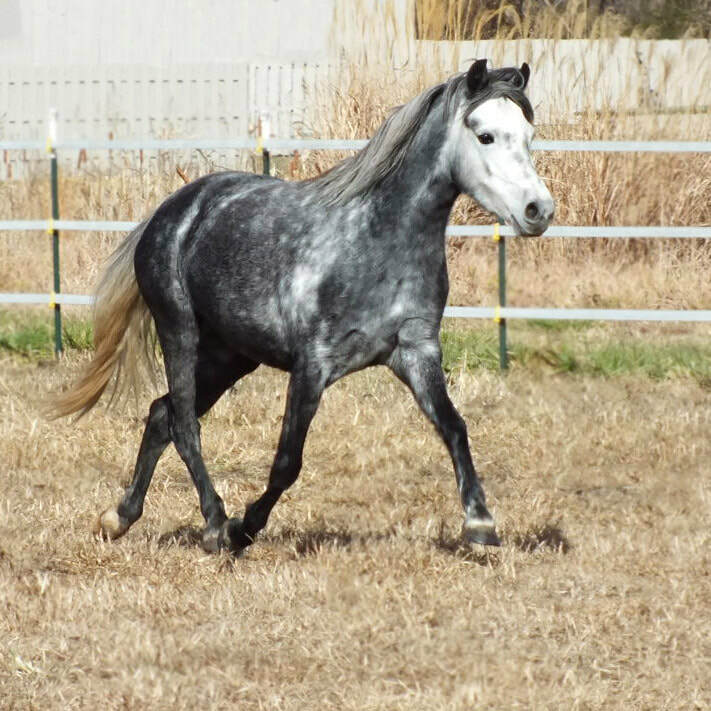 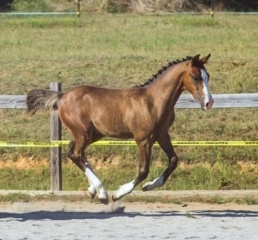 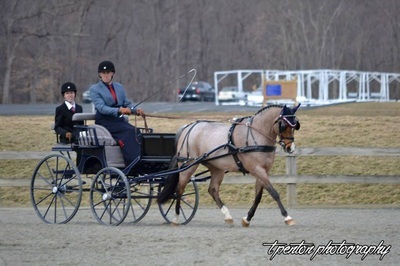 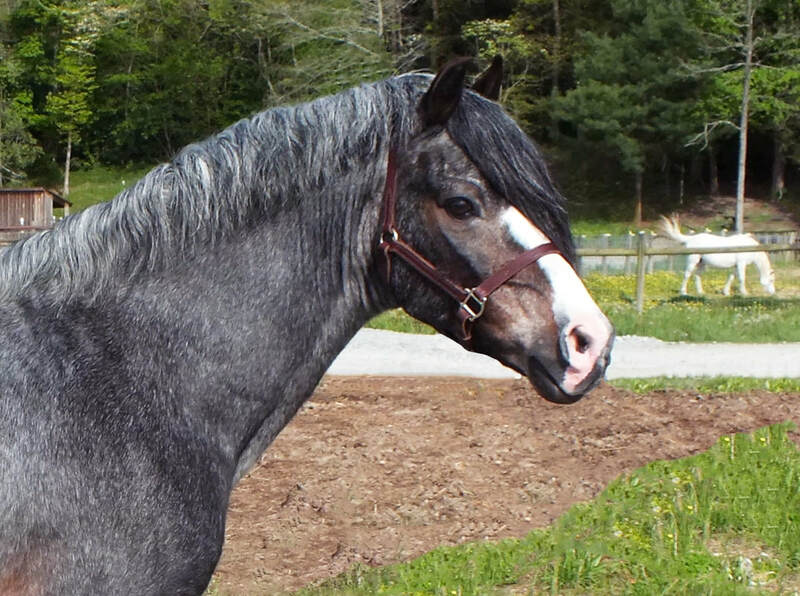 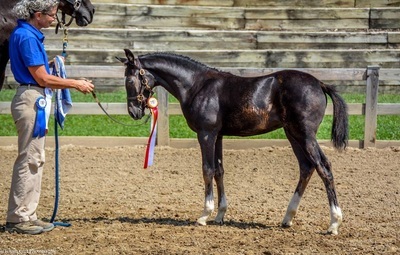 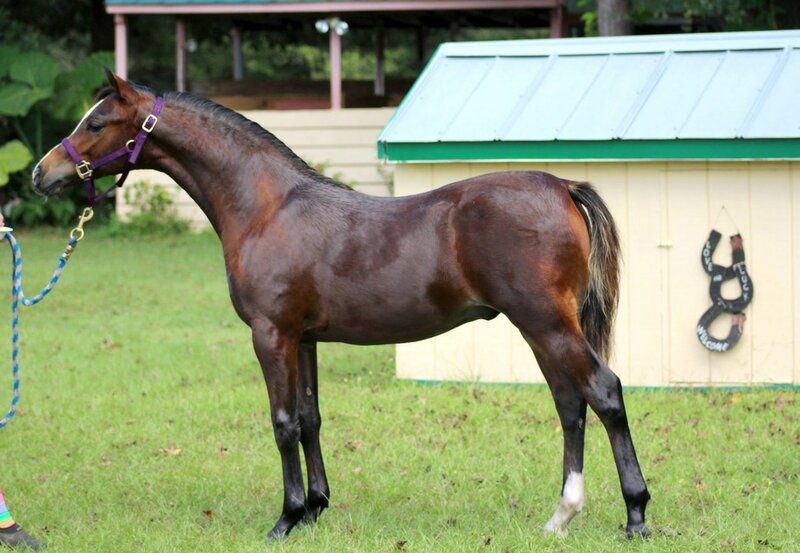 Notorious has proven to be a wonderful match with Welsh mares for ultra typey, great moving foals, often with fancy color, and he is also is a proven cross to Horse mares for Champion sport, driving, and hunter ponies. 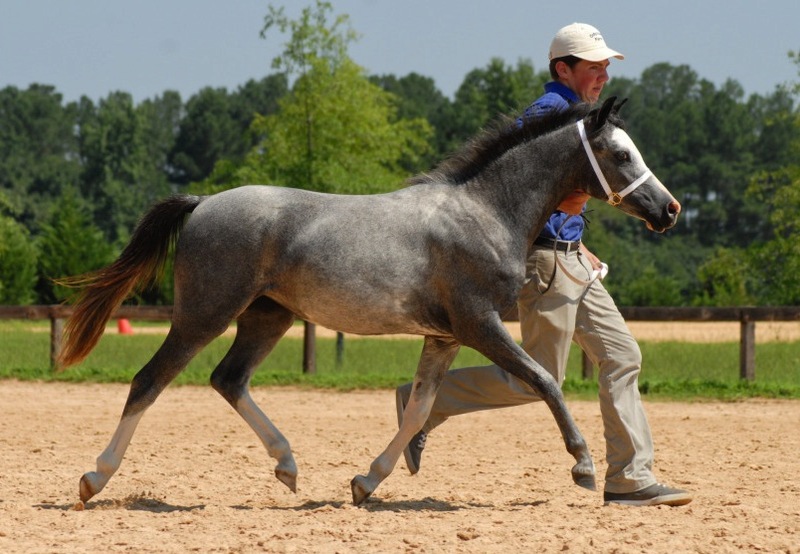 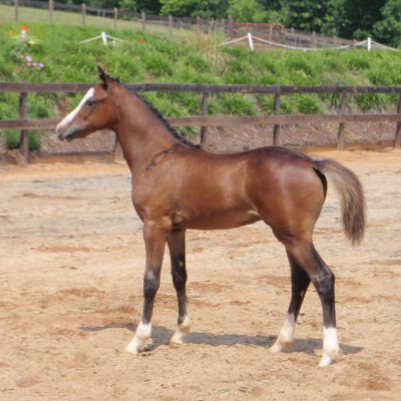 Several of his Half Welsh foals have been inspected RPSI Premium Gold and Silver with high marks for conformation, movement, and disposition. 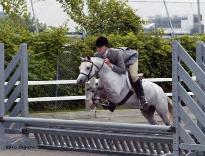 Most recently his daughter, Blueridge Moonbeam, was Grand Pony Hunter Champion at the Royal Winter Fair in Canada. 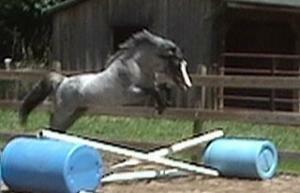 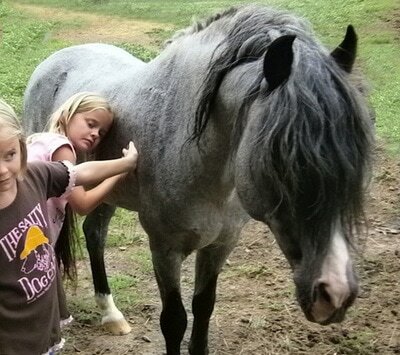 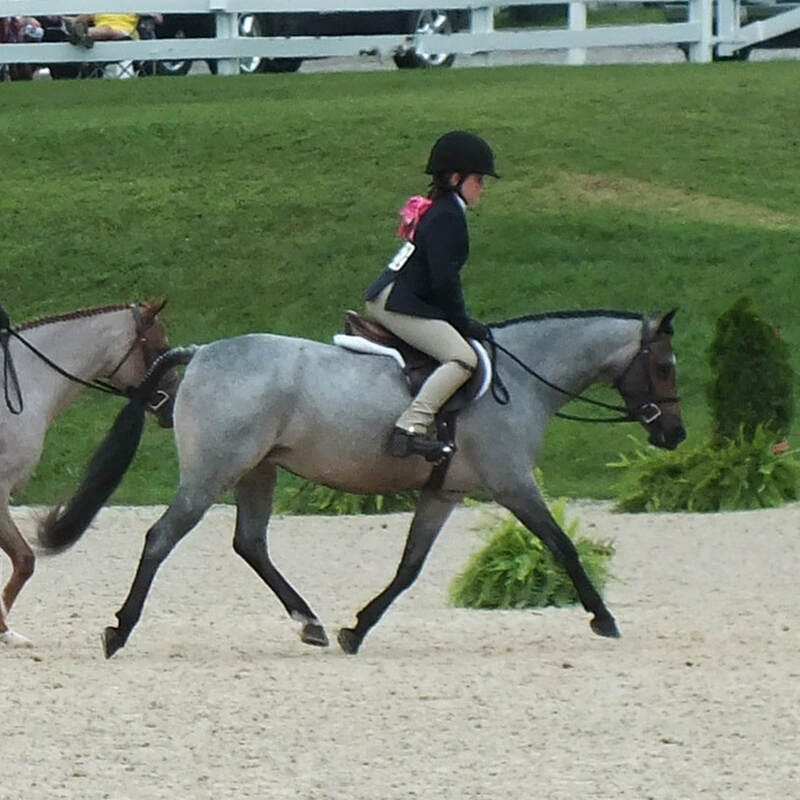 Notorious has been a dream pony for us and we are pleased to have the opportunity to share him with you. 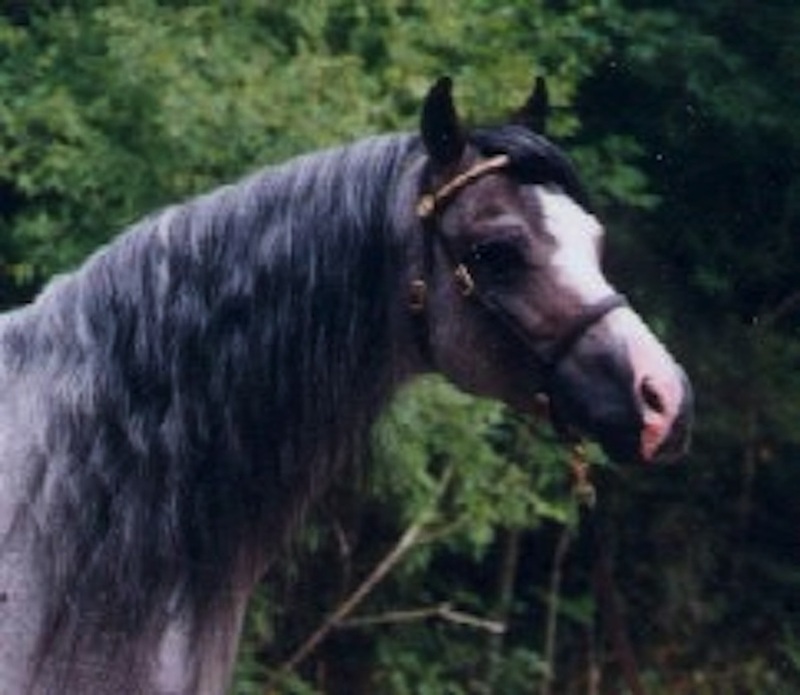 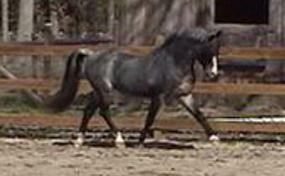 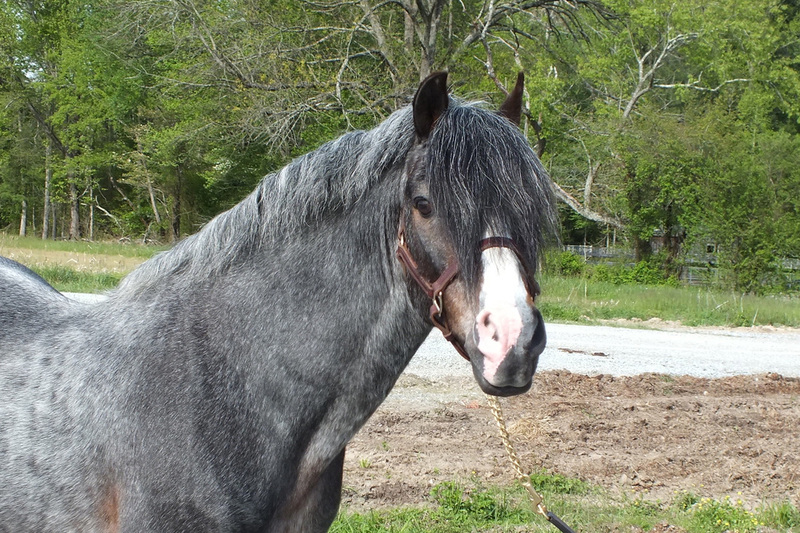 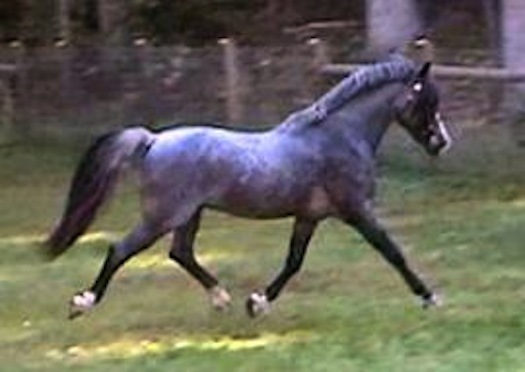 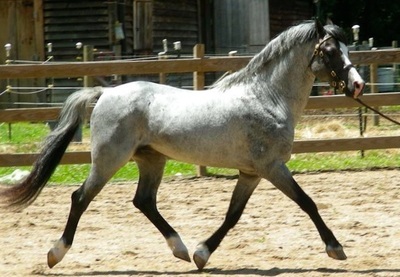 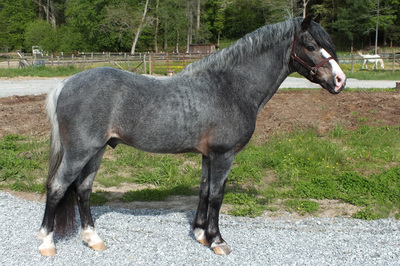 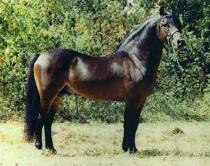 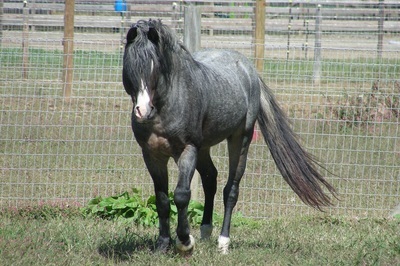 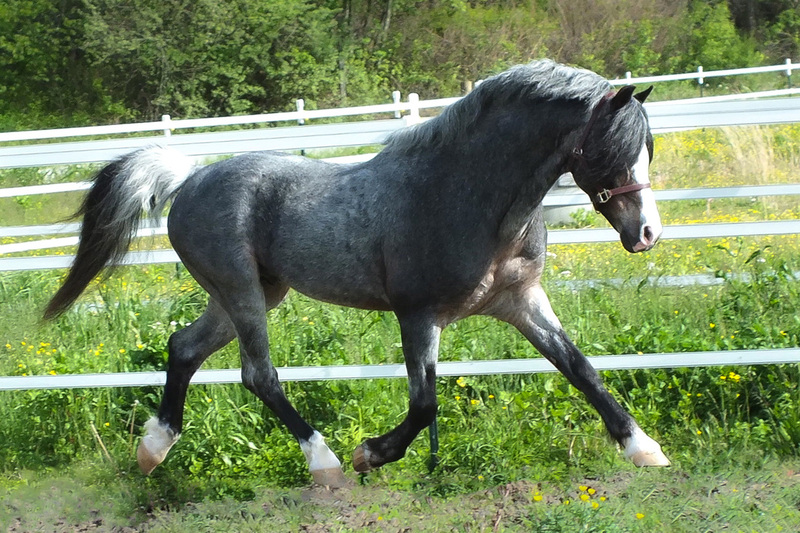 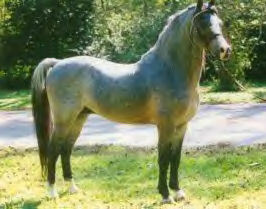 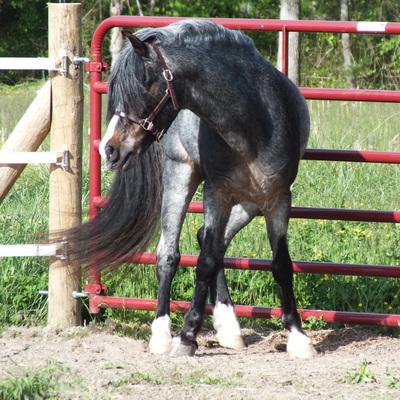 He has maintained a high conception rate as a senior stallion. 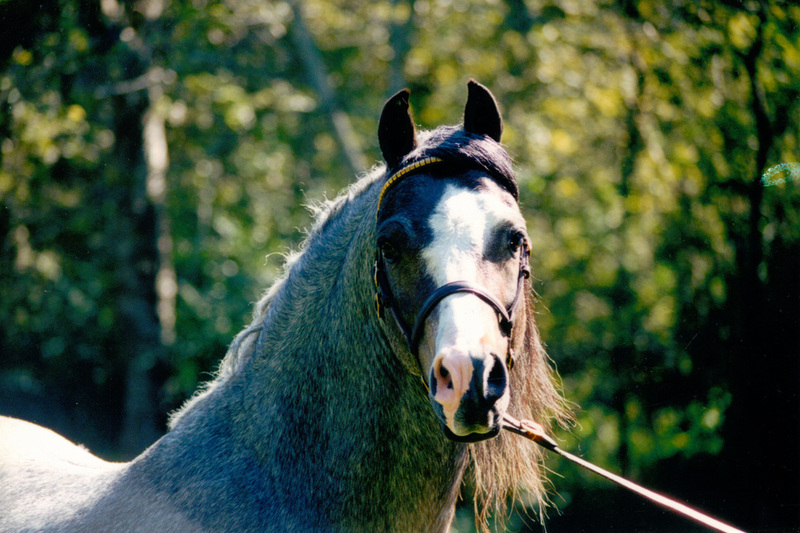 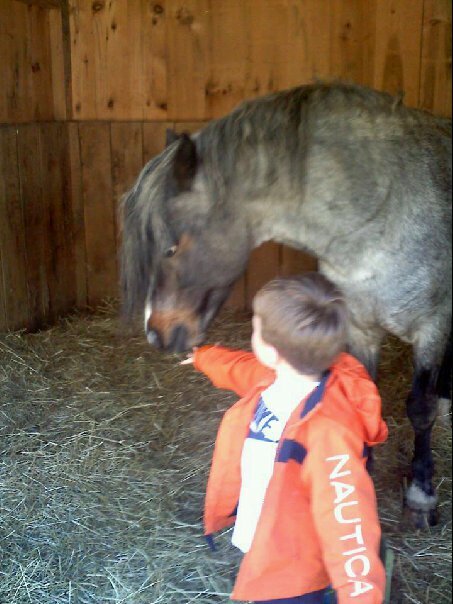 After many years of siring exceptional ponies, Notorious was retired from public stud after the 2017 season.